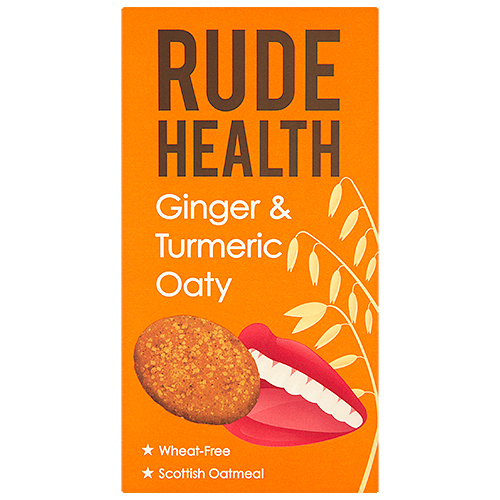 Turmeric & ginger may not grow near inverness, but they go surprisngly well with oats. Turmeric is soft and earthy, while ginger gives it a little zing and warmth. Together they create these unique biscuits: satisfying, aromatic and golden. 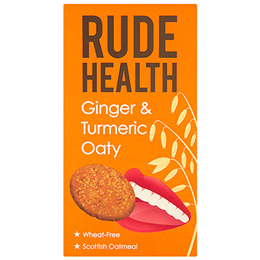 Below are reviews of Rude Health Ginger & Turmeric Oaty Biscuits - 200g by bodykind customers. If you have tried this product we'd love to hear what you think so please leave a review. Like Turmeric and ginger Bit expensive for every day use.